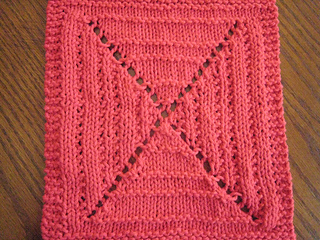 This was designed as part of Nerd Wars, here on Ravelry, in the Scientific (Nebula) category. The Red Rectangle Nebula is a red, rectangular-shaped protoplanetary nebula, discovered in 1973. It lies near the constellation Monoceros (or Unicorn).